The Tecnifibre ATP X-Tra Full is 50% more tacky than a traditional replacement grip and suitable for those who appreciate extra comfort. It is 2.1mm (0.08”) thick and offers the Waxresin technology to ensure excellent tackiness. The grip delivers a spongy touch and guarantees a secure racket hold. for submitting product information about Tecnifibre ATP X-Tra Full Replacement Grip We aim to answer all questions within 2-3 days. 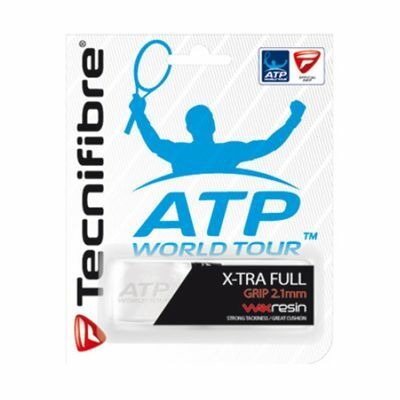 for submitting product information about Tecnifibre ATP X-Tra Full Replacement Grip. We aim to answer all questions within 2-3 days. If you provided your name and email address, we will email you as soon as the answer is published. for submitting product review about Tecnifibre ATP X-Tra Full Replacement Grip.